Four main themes have been identified to capture the spirit of Marrakesh in the Imagineering Phase. As a HIGHLIGHT OASIS and a crossroad of ethnic and cultural traditions. As a FOOTHOLD OF TRADITION (mystical, esoteric Islam), whereby Islamic learning expanded into western and sub-Saharan Africa. As a SYSTEM OF ECOLOGICAL EQUILIBRUIM that has been critically maintained between dense urban pattern perforated by a hierarchical system of courtyards, on the one hand, and a series of gardens, orchards and palm groves on it periphery, on the other hand. 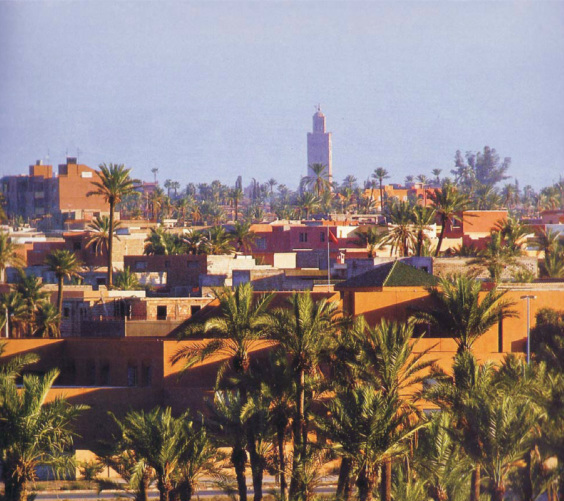 SAHAT AL-FANA’ constitutes the socioeconomic, urban and visual anchor and focal point for the city as a whole, establishing a microcosm of Marrakesh as melting pot of colliding traditions: Arab and Berber, Sufi and Orthodox, Urban and Natural, Commercial and entertainment.